You have very few remaining teeth and they are in poor condition. You have suffered bone loss in your mouth so severe it precludes you from considering dental implants. You have advanced gum disease that has resulted in the loss of multiple teeth. You have lost many teeth, and your remaining teeth are suffering from decay and receding gums. You are committed to practicing excellent oral hygiene in order to take good care of your dentures. You are a young patient whose jawbone has not fully developed. You grind or clench your teeth. 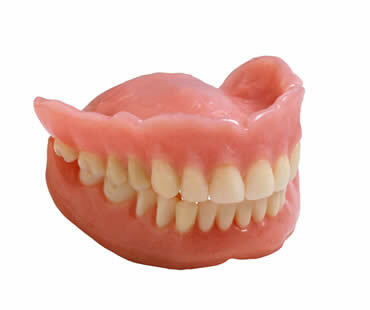 If you feel you are a good candidate for dentures, your dentist will evaluate the health of your teeth and gums and determine if full or partial dentures are the best choice for you. There are many factors to consider when having dentures placed, and your dental professional can help you make a decision that fits your needs and lifestyle. 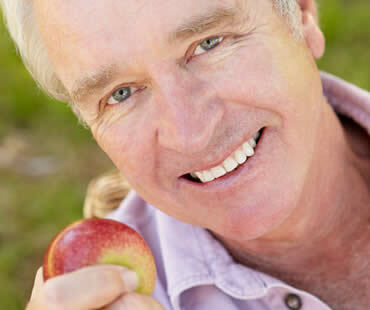 If you wish to regain oral functionality and improve your smile, dentures may be your answer to once again enjoying a full set of beautiful, natural looking teeth. General dentistry offers exactly what the name implies: dental care related to the general maintenance of good oral health. The ideal way to look at dentistry is preventative, which means focusing on good oral hygiene and functionality before problems can take hold. Finding a qualified and skilled general dentist who you visit every six months for checkups is the best way to prevent serious dental issues and help you maintain excellent oral health. A trip to the general dentist for you or any of your family members, no matter their age, is a smart way to keep your smile looking and feeling great. Your general dentist will help create the perfect dental plan that depends on your personal oral health and needs. 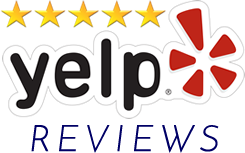 A typical dental visit includes thorough examination, X-rays or other diagnostic tests, professional teeth cleaning, and any treatments that might be needed for your condition. If a certain treatment isn’t available through your general dentist, it’s likely that you’ll receive a referral to a reputable specialist to complete the work. In addition to dental treatments, your general dentist will evaluate your at-home hygiene routine and make suggestions for improvement. 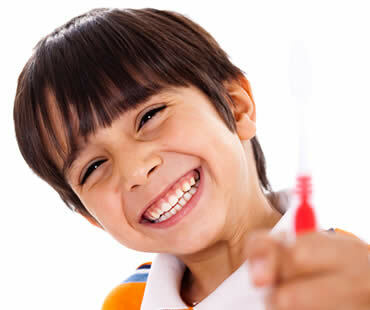 You will learn proper brushing and flossing techniques, as well as learn about any additional products or practices that might improve your oral health. Your general dentist wants you and your family to have the best smiles and oral health possible, and will help you achieve that goal. 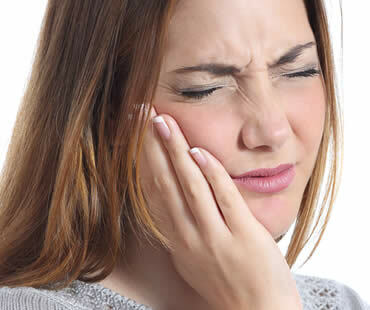 Sometimes an injury or tooth pain can occur suddenly, and immediate dental care may be required. It’s not always obvious when a problem needs emergency care, but some dental emergencies do need to be treated quickly to avoid infections or permanent damage. Here’s a guide to situations that are usually considered dental emergencies. Cracked or broken tooth – contact your dentist immediately. Rinse your mouth with water and hold a cold compress to the affected area until you can get to your dentist’s office. Excessive bleeding with lip or tongue bite – clean the area and use a cold compress. Go to the emergency room if the bleeding is severe or won’t stop. Jaw injury – if you think you may have broken your jaw, apply a cold pack and immediately to your dentist’s office or the emergency room. Knocked out tooth –rinse the root of the lost tooth if it’s dirty. Do not scrub or removed any tissue left on the tooth. Try reinserting the tooth into its socket, but if that isn’t successful, see your dentist right away. Placing the lost tooth in milk may help preserve the tooth until you can get professional help. Loose tooth – see your dentist immediately if one of your teeth is loosened. Take over-the-counter pain reliever if needed, and apply a cold compress. Lost crown or filling – place the crown or filling in a safe place and contact your dentist. To decrease sensitivity, you may apply clove oil and dental cement available at your drugstore, but only if you’ve gotten approval from your dentist. Severe or sudden toothache – rinse your mouth with warm water and gently floss around the tooth. Contact your dentist if your toothache persists. Swelling – painful swelling in your mouth may indicate an abscess, which is an infected area of pus that can become serious. See your dentist as soon as possible, and try rinsing your mouth with saltwater in the meantime. Problems with your mouth or teeth can occur suddenly. You might be injured playing a sport, eating, or even just while doing a seemingly harmless activity. You should know what types of dental problems are considered emergencies, and what to do while waiting to see your dentist. Quick action can make a big difference in saving a tooth, or limiting damage to your mouth or face. Not every dental problem must be treated as an emergency, but some do require professional treatment as soon as possible. This includes a broken or knocked out tooth, lost crowns and fillings, severe toothache, infection, and injuries to the soft tissues of your mouth. Severe toothache – rinse your mouth with warm water and floss to remove trapped food. Swelling – apply a cold compress on the outside of the swollen area. Do not place any painkiller or aspirin against your gums, because it can burn your gum tissue. Chipped or broken tooth – if possible, save the piece that has broken off. Rinse both the piece and your mouth with warm water. If it is bleeding, hold gauze on the area. Apply a cold compress to relieve pain and reduce swelling. Lost filling – apply dental cement from your drugstore to fill the hollow area until you can see your dentist. Or, try placing a bit of sugarless gum into the area. Lost crown –try to replace the crown on your tooth and hold it in place temporarily with dental cement, denture adhesive, or toothpaste. Abscess – infections in your mouth can become abscessed, which is a serious condition. Rinse with warm salt water and see your dentist immediately. Soft tissue injuries – treat damage to your gums, cheeks, tongue and lips by rinsing with warm salty water. Hold gauze to the specific area to control bleeding, and hold a cold pack to the external area. It’s not uncommon for children to be afraid of going to the dentist. Let’s face it, many adults don’t like visiting the dentist either. However adults mainly don’t want to take the time or don’t want to hear the news that they aren’t taking good care of their teeth. It’s different with kids though, who often have a real fear of the dentist, equipment, and the unknown situation. If your child is one of those who experiences anxiety at the mention of the dentist, here are some things you can do to help ease those fears. It is helpful for some children to watch a video or read a book that will help them become more familiar and comfortable with going to the dentist. Your local library or the internet both likely offer resources for this purpose, and bookstores have books and DVDs for purchase. These visual aids help kids know what to expect in visiting the dentist, and what their role is in the process. Take your child to the dentist’s office prior to your appointment so they can observe the office, meet the staff, and see the area and tools used for examinations. The staff may even give your child an explanation of the tools that dentists use for checkups. Your dentist wants children to feel comfortable and confident in getting dental treatment, so most offices do their best to help your child adjust. Even though fear sometimes overtakes logic, it’s still important to explain to your child the reasons for seeing the dentist. Help them understand the benefits of checkups, and the oral health consequences that may occur by not caring for their teeth and getting regular checkups. Kids will be kids, and emergencies happen that can affect the mouth. To avoid long-term damage, extensive pain, or unsightly results, it’s important to know what to do in a dental emergency. 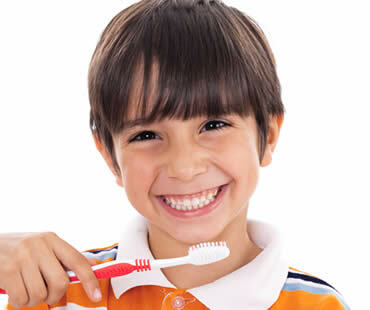 Let’s learn what you should do when your child has one of the following common oral problems. Look for food stuck between the teeth, and if so try to dislodge it with floss. Clean the affected tooth and rinse the mouth well with warm water. Swollen gums may indicate an infection, which requires a dental visit. Facial swelling can be relieved with cold compresses, but if it accompanies severe pain you should take your child to the dentist or emergency room. Try giving over-the-counter pain reliever, but don’t place the medication directly on the gum or tooth. If your child chips a tooth, contact your dentist immediately. Fast action can help save the tooth, reduce the risk of infection, and prevent extensive procedures. Have your child rinse with cold water. If you can find the tooth fragment, take it to the dentist in case it can be bonded back in place. The first thing to do is locate the missing tooth. Hold it by the crown instead of the root, and rinse it gently. Try replacing the tooth back in the socket, and have your child bite a piece of gauze or cloth to hold it in place until you get to the dentist. If you can’t insert it, place it in a cup of cold milk to take with you. Time is important in saving a displaced tooth, so see your child’s dentist immediately. Ensure your child’s teeth are undamaged, and apply firm pressure with a moist washcloth or teabag to the bleeding area. If it doesn’t stop in fifteen minutes, call your child’s dentist or head to the emergency room. If the tongue is bleeding, there’s not much you can do except wait to see if it stops bleeding on its own within fifteen minutes. If not, visit the dentist or emergency room. Are you missing one or more teeth? 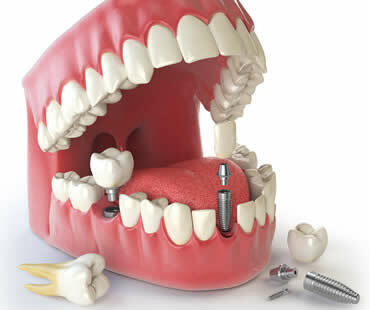 Dental implants are among the best possible solutions for patients missing teeth. Dental bridges and dentures can fill the gaps left by acute decay or gingivitis, but dental implants have many advantages over these other techniques. Dental implants are typically made of titanium and serve as an artificial root for a missing tooth. They are fused directly to the jawbone and become an excellent foundation for replacement teeth. They are the best possible substitute for a natural tooth that a dentist can provide. Dental implants are very convenient. Bridges necessitate cleaning carefully under and surrounding the bridged tooth, and dentures need to be removed and specially cleaned and can utilize messy adhesives to affix them to your mouth. Dental implants are cleaned exactly as you would clean your natural tooth. Brush and floss normally. There is no slippage or cleaning beneath or between the replacement tooth, which is permanently attached to the gum via the dental implant, which fuses to the bone in a process known as ossification. Dental implants look better than other replacement teeth. They are intended to appear and function as your natural tooth would. Because they’re fused to your bone, they are more secure than dentures or bridges that can slip in the oral cavity, causing pain, muddled speech and problems eating or drinking. Dental implants are incapable of slippage, leaving you to lead your life with confidence and security. Dental implants preserve bone by stimulating the bone in your jaw, something necessary for the health of the bone. Without this stimulation, the bone can begin to shrink. Dental implants are very durable and can last for decades, if not for a lifetime, when cared for properly. Because dental implants don’t require any alterations to the surrounding teeth, those natural teeth are able to remain intact, lending to your overall good oral health. If your quality of life has been compromised by tooth loss, dental implants may be the answer to your problem. Missing teeth can affect even the most basic daily activities like speaking and eating. If you are looking for a lifetime replacement for a missing tooth, dental implants should be your first choice for restoration. A dental implant is an appliance that is affixed to the jaw bone and replaces natural teeth by supporting a crown or fixed denture. Once the implant has been placed, bone forms around the implant to make it a stable anchor for a restoration. There are many benefits to dental implants. The placement of dental implants does not require any alteration of adjacent teeth, which is ideal as it preserves your natural tooth structure. Dental implants are cleaned the same way as your natural teeth, allowing you to maintain excellent oral health. Once the implant has been placed, you can eat all your favorite foods and speak without worrying about slipping or breaking. When you replace a missing tooth with a dental implant, you will enjoy the same function, convenience, and natural look as you have with your other teeth. If you are missing teeth, talk to your dentist about the possibility of dental implants to restore your beautiful, healthy smile. In the past, replacing lost teeth meant getting dentures or bridges. Even though these offered the best way at the time to restore your mouth’s appearance and function, technology has improved through the development of dental implants. The main drawbacks of bridges and dentures is that they do not feel or look just like real teeth, and it is difficult to chew tough foods. The advantage of implants is that they look and perform so well that you can’t even tell they are not your natural teeth. Made from titanium, dental implants are screws that are surgically placed directly into your jawbone. They are light and malleable, but durable and strong. The titanium screws are implanted into your jawbone and given time to heal. Once healing is complete, one or multiple crowns are placed on top of the implant to recreate your missing teeth. One implant can hold more than one screw, so it is possible to attach as many crowns as needed to replace your missing teeth. Dental implants look so much like real teeth that others won’t even be able to tell that you have any artificial teeth. You might even forget about it yourself, as they feel real as well. Since the implants are securely placed in your jaw, they are as strong as real teeth and you are able to chew and bite anything that you would normally eat. Another great thing about implants is that they don’t impact any of your adjacent healthy teeth. While bridges and dentures can sometimes damage neighboring teeth because those teeth are necessary for support, implants avoid this problem. You are left with a fully restored and comfortable smile. Tooth decay that is allowed to become severe can cause extensive damage to your tooth, even resulting in tooth loss if not treated. Sometimes symptoms are present that cause you to visit your dentist, but other times it’s just a regular checkup that catches a problem. The source of trouble usually begins with a small area of tooth decay that goes unnoticed. Bacteria attacks, decay thrives, a cavity may form, and infection can spread. Cavities may be filled to repair the tooth and eradicate infection, but advanced cases of decay can reach the tooth’s interior. Once it gets to the pulp, serious damage can set in. This is when symptoms often appear, sometimes becoming severe. If you experience any of these symptoms, it’s time to visit your dentist for an evaluation. Root canal therapy might be recommended to restore your tooth’s health and regain comfort and functionality. Root canal treatment involves cleaning the damaged areas of the tooth pulp to remove infection and bacteria, filling the open space, and sealing it to prevent future damage. Sometimes a crown is placed on top to complete the process. When a tooth is severely damaged, root canal therapy provides your best chance for restoration and optimum oral health. Your dentist will effectively and safely perform the procedure, and at the same time relieve the related symptoms that you may be experiencing. Tooth stains, chips, cracks, and discolorations can keep you from letting others see your teeth. If you are self-conscious about your smile, then dental veneers may be the answer for you. Veneers can correct a variety of imperfections and give you a natural, beautiful smile. Made from tooth-colored porcelain, veneers are attached to the front of your natural teeth. They feel just like the rest of your teeth, and are durable and do not irritate your gums. Since porcelain is resistant to stains, you’re able to eat and drink as you wish. Good oral hygiene helps keep veneers and your natural teeth strong and healthy. There’s a reason that veneers are one of the most popular options in cosmetic dentistry. 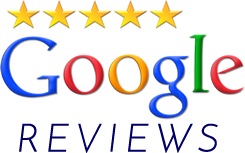 They provide a solution to many problems and can dramatically improve the appearance of your smile. Veneers are the answer for tough stains or discolorations that can’t be repaired by teeth whitening. They can also make your teeth look straight and even. Veneers provide an answer for chipped or broken teeth too. The main thing to remember is that your original tooth might need to be reshaped to a smaller size and shape to allow the new, thin coating of the veneer to be placed over it. The coating will make your tooth look like a normal, perfectly shaped tooth. However, if the veneer is ever removed, it would need to be replaced to keep your smile looking nice. Dental veneers are a life-long solution to creating your best smile. Should You Choose Crowns or Veneers? If you have damaged or decayed teeth you may be considering options to restore both the look and function of your smile. Crowns and veneers are both utilized by cosmetic dentists to accomplish these goals. Which should you choose? Both crowns and veneers have pros and cons, and some distinct differences. A crown is a cap that is placed over the tooth to reinforce the tooth and restore its original size and shape. Crowns are bonded into place and cover the entire tooth that is visible above the gum line. Crowns are most often used when the tooth has serious problems with structural integrity, often caused by decay. Cracked, broken, or worn down teeth also get crowns. Crowns modify how the tooth looks, and can help restore a more perfect smile. Crowns can be made of stainless steel, resin, porcelain, ceramic and other metals. Veneers are similar to crowns in that they are used to restore the appearance of a tooth. Veneers utilize a thin shell of either porcelain or composite material that is placed over the tooth to protect it from damage and correct its appearance. Veneers require the structure of the tooth surface to be altered to bond it to the tooth. Veneers are most commonly used to restore the outward appearance of a tooth, while crowns are typically used for structural repair. If your goal is simply to change the appearance of your teeth, veneers may be the best option. If you have extensive tooth decay or trauma, a crown might be the best choice. Consult with your dental professional to find out if a crown or veneers would be most appropriate for your specific dental issues. Veneers are a terrific option to create a dazzling smile. These shells fit right over your real teeth to hide a variety of cosmetic problems. Veneers are typically made of porcelain, giving you a natural and long-lasting smile. Once you and your dentist decide that veneers are right for you, a small amount of your tooth enamel will be removed so that they fit correctly. An impression of your teeth will be made and sent to a dental lab for the veneers to be custom made. When they are ready, you will return to your dentist to have the veneers attached to your teeth with a special adhesive. It is hard for others to tell you have veneers because they look very natural. They are shaped just for your smile, and you select the color. Veneers resist stains from things like coffee, red wine, and tobacco use. Veneers are also a great choice because they fit right over your own teeth, without requiring more extensive procedures. Some patients experience increased tooth sensitivity after getting veneers due to the minor enamel removal. Also, veneers are permanent and the process cannot be reversed. Another thing to keep in mind is carefully choosing your veneer color, so that your smile isn’t overly white or unnatural. Veneers are great for hiding chips, cracks, gaps, or uneven teeth. They are whiten teeth that haven’t responded well to other methods. Veneers may not work for patients with weak teeth from decay, large fillings, or fractures. Patients who grind their teeth or clench their jaws may also be poor candidates because consistent wear can crack or chip the veneers. Veneers last ten years or more with good care. Practicing proper dental hygiene is important to avoid decay of your teeth under the veneers. Avoid nail biting or chewing on hard items like ice or pencils, which may break the thin veneers. Normal brushing and flossing is acceptable, and regular dental checkups are important in maintaining good oral health. If you’re looking for an instant smile upgrade, dental veneers might be your answer. These thin customized shells made of porcelain or resin are used to cover numerous kinds of teeth imperfections. They are bonded to the fronts of your teeth to give you a beautiful smile. Why do people choose dental veneers for their smiles? The list of benefits is long! Veneers reflect light in the same way as real teeth, making them look very realistic. Their thin width allow them to blend into your smile. Veneers are custom-made to match the exact shade of white that you desire. You and your dentist can work together to match your natural tooth shade, or to choose a brighter color that whitens your smile. Veneers can last for ten years or longer with proper care. Once bonded onto your teeth, they are quite strong if you avoid doing things like biting into hard foods. Dental veneers hide nearly every cosmetic tooth flaw that you might have. Discolorations, chips, cracks, gaps, misalignment and more can all be covered. Veneers can even give your teeth a new shape and size if desired. Veneers can strengthen teeth that are cracked, fractured or chipped. This can improve your teeth’s function at the same time as transforming their appearance. Porcelain and resin both resist stains so that you can expect your veneers to remain the same color as when you got them. However, it’s smart to avoid consuming items that are known staining culprits. It may take a week or longer to create your personalized veneers in a dental lab, but the actual process of applying them takes only about an hour. Very little of your natural tooth must be removed in order to place veneers. The nerves of your teeth should remain unaffected, decreasing the risk of sensitivity. You can return to your normal routine as soon as your veneers have been placed, as there is no period of recovery or adjustment needed. Veneers do not require any kind of special maintenance. You can just continue with your normal brushing and flossing routines. A tooth that has been damaged by decay or trauma may need endodontic treatment, also called root canal therapy, in order to save the tooth. Although it may sound like a scary procedure, advances in dentistry have made it a much less painful or upsetting process than it used to be. This treatment is worth it to restore your smile as naturally as possible. How do you know you might need endodontics? You may experience pain in the tooth, sensitivity to hot or cold foods or beverages, or swelling in the area. Severe cases may have a discharge of pus near the tooth. However, not all cases of a badly damaged tooth result in noticeable symptoms. That’s one reason it’s important to maintain regular checkups with your dentist, who will pick up on problems with a tooth that you may not realize is damaged. 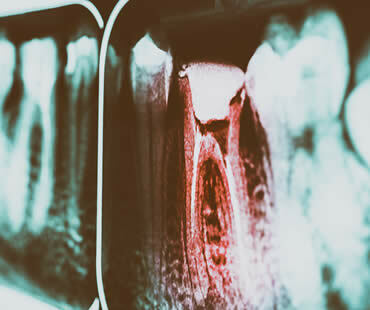 Examination and testing such as X-rays can help diagnose a tooth that is in dire need of repair. When possible, dentists strive to save your real tooth. Sometimes the best way to do that is through root canal therapy, which involves removing the damaged tooth pulp from the interior of the tooth. 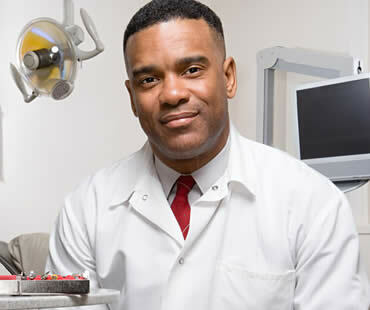 Using local anesthesia to make you comfortable, the dentist or endodontist uses special tools to enter the root canal, remove the pulp, and clean the area thoroughly. Once the tooth is ready, a crown is usually placed on top of the existing tooth to protect it from future damage and to complete the process. Sometimes antibiotics are prescribed if an infection was present to help ensure that you are in the best of health. Endodontic treatment is often compared by patients to simply getting a regular tooth filling. The procedure is usually completed in one office visit and it won’t be long before you are back to your normal routine, with a fully restored natural tooth in your smile. Teeth whitening is the most popular cosmetic procedure that dentists perform today. It can have a dramatic effect on your smile at a smaller cost than other cosmetic procedures. You can whiten your teeth yourself using at-home techniques, but often professional whitening with your dentist’s help achieves the fastest and most effective results. Let’s examine the whitening options provided by most dentists to help you evaluate what might work for you. The dentist applies a whitening product to your teeth containing higher percentages of hydrogen peroxide than what is available in at-home kits. Heat or light may be used also. This technique produces quick, uniform results, but it does sometimes cause temporary gum irritation or tooth sensitivity. This method is expensive, ranging between $500 to $1,200. A customized mouthpiece will be created by your dentist for you to fill at home with whitening gel, which contains a lower strength of hydrogen peroxide then the in-office gel. You wear the mouthpiece at home for several hours each day, and your dentist supervises the whitening with regular checkups. This method is convenient and less expensive at $300 to $500, but it produces slower results than in-office methods. Whichever type of teeth whitening technique you might choose, remember that it isn’t a permanent repair to your teeth. You will need to repeat the process every year or two. The length of time between treatments will increase if you don’t smoke and avoid foods that are known to stain your teeth, such as coffee and red wine. Your smile is a noticeable part of your appearance, and yellow dingy teeth can leave a negative impression on others. Most people have to work at having a bright sparkly smile, because teeth can discolor with age, diet, and lifestyle. You may not realize that sipping a glass of red wine or coffee can be a detriment to your smile, as can sugary items that allow acids to attack your tooth enamel. Smoking is an even worse culprit. It not only leaves ugly spots on the surface of teeth, it also contributes to poor gum health. If your teeth are already stained or if you’re having a hard time breaking the habits that discolor them, teeth whitening is a good way to improve the look of your smile. There are numerous methods to regain the natural glow of your teeth, ranging from over-the-counter techniques for home use to professional treatments in an office setting. Whitening products available at your local drug or grocery store include things like toothpaste, chewing gum, mouthwash, gels, and whitening strips. These are readily available and usually inexpensive options. Most of these products are simple to use and can be done in the convenience of your home when you choose. However, over-the-counter products are not as strong as professional methods. This means that results are not dramatic and usually take a long period of time of consistent use. Also, the effects may not last as long as you hope before it’s time to consider whitening again. 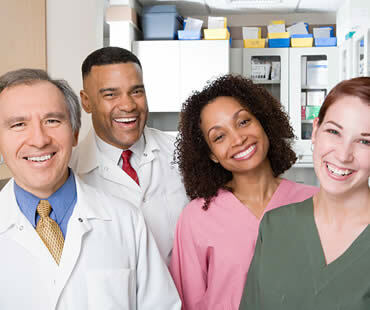 Professional teeth whitening is often performed by general and cosmetic dentists in an office environment. Bleaching is a popular professional method. The biggest advantage of in-office treatment is the fast results, with a visibly brighter smile evident in about an hour. Results are often dramatic, lightening teeth by several shades. Professionals trained and experienced in these methods provide safe and effective treatment. Methods available professionally may cost a bit more than home options, but the dramatic results may be worth it. Contact us today to schedule your cosmetic dentistry consultation in our Federal Way dental office. Thank goodness for modern dentistry that allows people to have attractive smiles even though their teeth may not cooperate. For some people, regular dental care is enough to keep their teeth and gums healthy and looking nice. However, over time many people’s teeth become stained or discolored. Chips and cracks can occur that cause unsightly and embarrassing problems. If things like this happen to you, it’s time to consider restoring your smile with porcelain veneers. Veneers are thin porcelain shells that are permanently adhered to the front surfaces of your teeth, hiding imperfections and giving you a whole new look. It is a simple, non-invasive procedure that can make a dramatic difference in your appearance without any pain or great inconvenience. • Veneers completely hide stains and discolorations on your teeth. Years of eating and drinking foods that tend to stain your teeth can be erased with veneers. For tough stains, sometimes whitening techniques simply aren’t enough. Veneers provide an easy remedy that will immediately and effectively hide your problem teeth. • You and your dentist can choose the exact color that you’d like your veneers to be. You can select the best shade to match your other features and your goals for your smile. • Obtaining veneers does not require invasive procedures like reshaping, scraping, or extensive contouring of your teeth. There isn’t any pain associated with the veneer process. • Only one or two dental appointments are necessary to get veneers. • Porcelain veneers are durable and strong, often lasting from ten to fifteen years. • Veneers give you back your confidence so that you are proud to smile and display your beautiful look.